Transformer Prime owners, you should see something extra in your digital stocking today. The 10.4.2.18 update is now rolling out (at least in the United States) ready to download and apply for stock users. Unfortunately it's not Android 4.2, but there are a number of small yet useful tweaks to the software. Most notably, errors with the Spanish and Dutch keyboards have been patched, and the Transformer Prime can now connect to Wi-Fi access points with Chinese characters in the SSID. Despite its former problems, when the ICS update started rolling out to the Transformer Prime earlier this month, users were elated. However, some users were immediately hit with a problem while trying to update: serial number not found. This error, as simple as it sounds, completely prevents the Prime from being able to perform any sort of update, be it manual or OTA. ASUS is aware of the issue an working on a fix, but in the meantime, our beloved dev community has been cooking up something of their own, and it looks like it's ready to go. If you lost root after updating your Transformer Prime with the latest OTA, we have good news: thanks to a new method found by Android hacker Saurik, you can now root once again. As always, we're not responsible if you damage your device. It's all you, baby! So, you ready to make this happen? Let's get started. First things first, you'll need to grab a couple of files. At this point, you should be in a root shell session (indicated with the pound sign). While the quad-core Transformer Prime has seen its fair share of negative accusations, it's still the tablet of the moment. In fact, it's so sought after that ASUS is having a hard time filling shipments and it's still out of stock nearly everywhere (sound familiar?). If you've been waiting around for one of the major retailers to get a new shipment in, then make ready the credit card - the 64GB version in amethyst grey just became (re)available on Amazon. At this point, I'm sure you've heard that the Transformer Prime has GPS issues. Issues so bad that ASUS even removed GPS from the Prime's list of features. Under normal circumstances, we would all sit back and wait for a software update to roll out with a fix, but that's not going cut it this time. ASUS has already acknowledged that the Prime's GPS issues are due to its all-aluminum construction. Update 12/18/11: It's back again - all other variants are still showing the "sign up for availability alerts" message. Looks like Amazon may be gearing up to start (re)taking pre-orders for the Transformer Prime, with the 64GB version in champagne being the first one to make its way back to the site. As you may already know, Amazon started taking pre-orders several weeks ago, but abruptly stopped (no reason has really been made clear as to why) and ultimately ended up cancelling many users' orders. Announced earlier this month, the ASUS Transformer Prime is the world's first quad-core Tegra 3 device and it is truly a beast. But don't take our word for it, check out NVIDIA's demo of Android 4.0 Ice Cream Sandwich running on the device. The US product page of the device went live a few days ago, and developers and other enthusiasts will be pleased to learn that the official source code and user manual for the Transformer Prime are now also available via the "download" section. 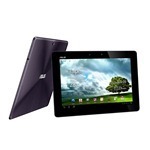 If there's one tablet that has been on the mind of Android fans all over, it's the ASUS Eee Pad Transformer Prime (which, from this point forward, will be know as either the Transformer Prime or simply "Prime" because the full name is just too bloody long). 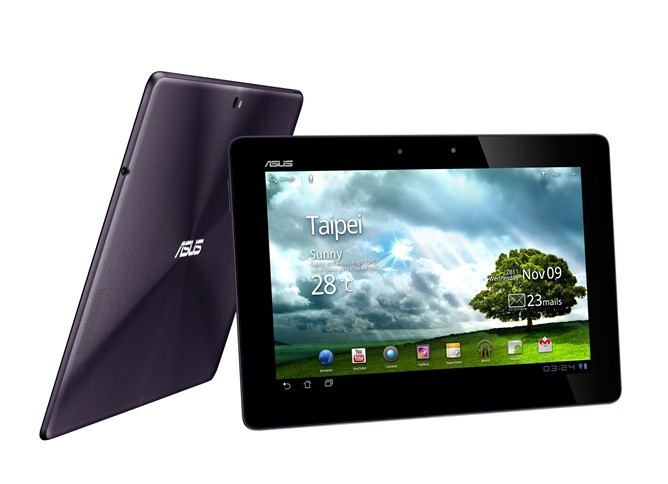 ASUS just unveiled the world's first quad-core Tegra 3 device, and it is a beast. It was originally scheduled to be shown off on November 9th, but as you may have heard, has been delayed until early December.